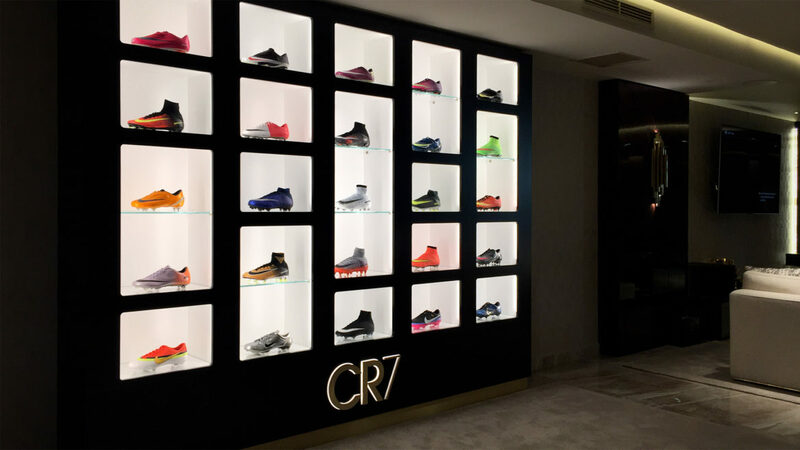 Upon his arrival to Real Madrid, Cristiano Ronaldo has become CR7, symbol of an athlete who has pushed boundaries, cutting the diamond of his own talent to reveal all of its unparalleled brilliance in the football world. 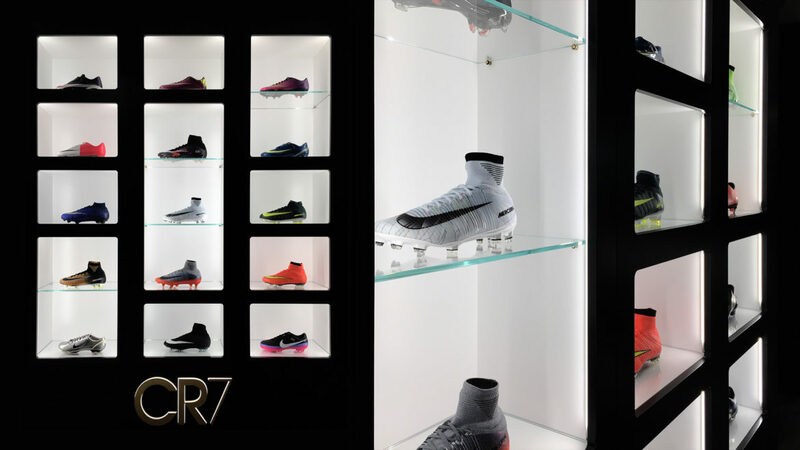 The seven-chapter series of Cristiano Ronaldo’s Nike Mercurial boots, is now in its fifth chapter: “Cut to Brilliance.” The new model celebrates Cristiano’s years with the Blancos, showing unrivaled goal scoring and brightness on the pitch. 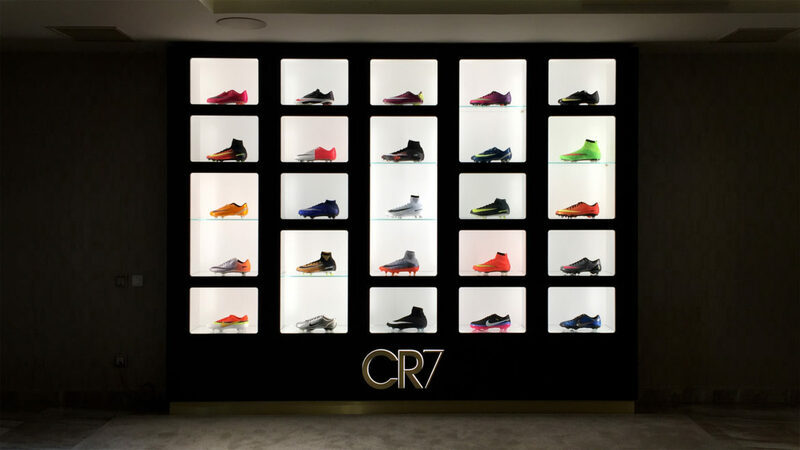 To mark the launch, Sartoria was asked to design and realize a bootwall for Cristiano’s own house, showcasing the shoes that have accompanied him throughout his career, and that have marked indelible moments in his sport history. Our sister company Panottica produced the video interview “The Conversation” between Cristiano Ronaldo and his former teammate Rio Ferdinand.